After a month and a half of absolute flyness, I have finally succumbed to taking out my beloved box braids. Even though I was nervous about installing the braids, I absolutely fell in love them the moment my hair was complete. -Every night before bed, I did a long fishtail braid and wrapped it in a bun and put on a silk bonnet over them. -Instead of using hair ties and bobby pins, I manipulated the braids to do most of the holding for my styles. -Most of my styles came from pure imagination and a few came from the queen of box braids her self, Ms. Solange Knowles. -My favorite look was the high bun (however, this was the most uncomfortable style as the braids are the heaviest in this style). -My second favorite look was always half up half down with a semi twist to the front. I felt this look was appropriate for almost every outfit and it took all of 20 seconds to complete. -Have your braids installed professionally (I got mine done at an African braiding salon in Brooklyn). -I suggest going off of recommendations from friends/family who have been to a specific person. -Emphasize to your stylist that you don’t want the braids to be extremely tight. It is a complete myth that the tighter the braids are the longer they last. My stylist did my hair firmly (not tightly, I had no headache afterwards) and my braids lasted for over a month and I could have kept them in longer. -To alleviate some of the weight associated with the poetic justice look, articulate to your stylist to do varying sizes of braids around your head (NOT NOTICEABLY DIFFERENT) but the stylist should understand how to manipulate how much hair is used in each braid to lighten the hair. ARE BOX BRAIDS WORTH IT? ABSOLUTELY! If you have been considering installing these braids and haven’t done so, I highly recommend going out and getting them! They are not only fun but very practical and easy to maintain! All you have to do is completely own the look 100% and you will be good to go! And the curls are back. I’m having box braid withdrawals as I type and cannot wait to get them again!! what brooklyn salon did you go to? i'm thinking about getting them done, but want to be recommended somewhere / to someone. thanks! I've been thinking of getting box braids or senegalese twists. Great review! Those braids looked amazing on you!! This is great to know! I absolutely love the style in the third picture from the top! Do these braids pull ur hair/edges out? Im afraid the weight will pull it out. What kind of hair did you use? Was it 100% kankelon jumbo braid? Beautiful hair style! I must try those braids! 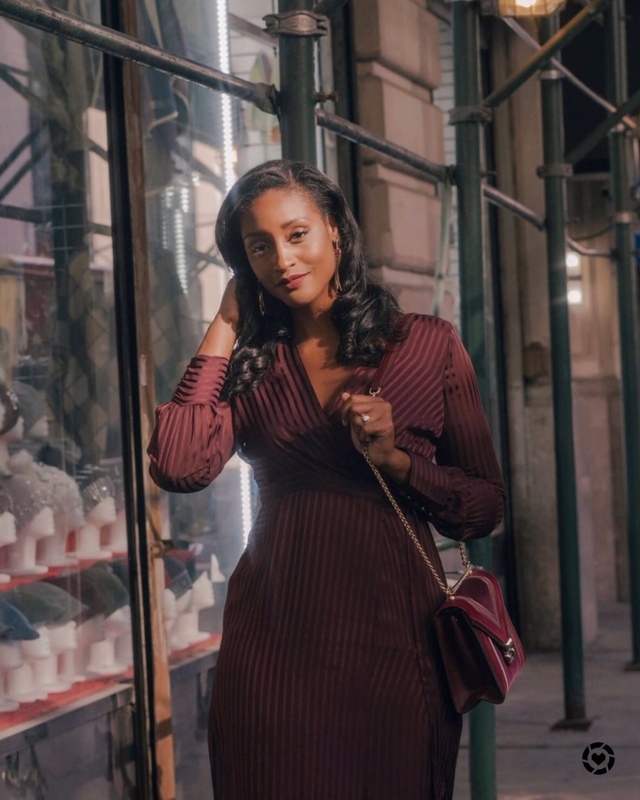 Would you mind sharing the salon you went to in Brooklyn? Your braids are absolutely beautiful! Cool,Poetic Justice Braids Hairstyles can grip your small hair too. 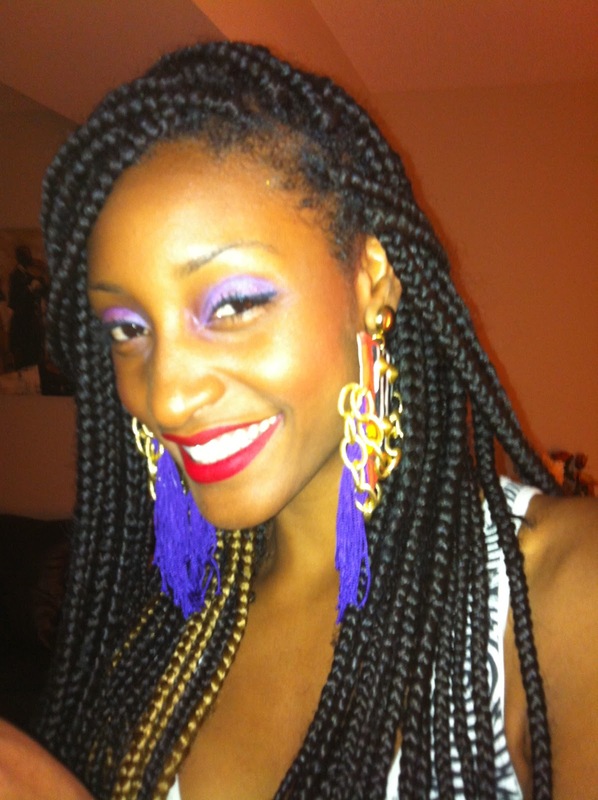 Poetic justice braids with color has a numerous hairstyles which gives you a classy look.Thanks! !